A least one individual must be a Catholic with no canonical impediments to marriage and a registered member of St. Thomas Aquinas. For couples wishing to be married at St. Thomas Aquinas, dates and times for weddings will not be given without meeting with the priest or deacon first. 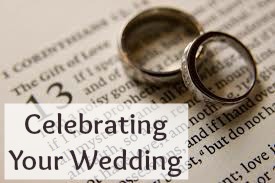 All couples preparing for marriage will be required to meet with the priest or deacon on several occasions. There is also certain paperwork to be completed. For Catholic(s), a Baptismal Certificate issued within six months of the wedding date must be provided. Those who are Baptized Non-Catholics will need to provide evidence of their baptism in the form of a Baptismal Certificate or other such document provided at the time of their baptism. Marriages are normally celebrated on Saturdays. 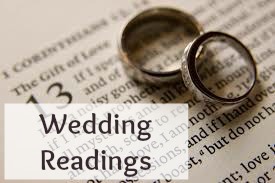 Wedding times at St. Thomas Aquinas are noon and 2:30pm. Wedding rehearsals are held on Friday evenings. 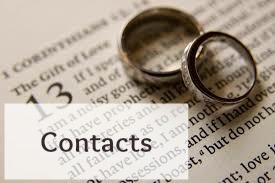 For more information or to begin your marriage preparation here at St. Thomas Aquinas, contact Marie Aymar Watkinson (704) 549-1607, x210 or email. 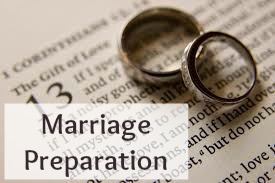 Information from our Marriage Preparation Booklet can be found on the following pages.